Pen Chalet sells only authentic fine writing instruments and is an authorized dealer of every pen brand found on penchalet.com. We guarantee each writing instrument to be authentic. Each writing instrument or accessory comes in the orginal packaging with the proper paperwork. If you are not completely satisfied with your Pen Chalet purchase, please feel free to return your pen within 10 business days in its original packaging. Fountain pens should not be inked for a full refund. Quick service and good products. Excellent company, shipped quickly and followed up. Responded immediately to a question on the product. Works great. Definitely, on my list of great responsive companies. 1) A large inventory to pick from. I like fountain pens and they have so many to choose from. Especially brands I've never heard of but are magnificent like Taccia. Especially the Taccia Covenant in broad. 2) A very easy website to navigate through. I've never had a problem finding anything on their website. 3) Fast cheap international shipping. 4) Are always offering discounts and you're given a 10% coupon after every purchase. 5) The customer service is excellent. They respond to your emails within 24 hours and sometimes within a couple of hours, they try very hard for you and will make your order right. I've had several poor experiences with online pen stores sending me the wrong pens and then not responding to any of my emails or phone calls and some of them who do respond were rude and condescending. Pen Chalet is the exact opposite they are straightforward and want to help you because they want you to come back! 6) They have 303 great videos on Youtube displaying a lot of their products so you can see exactly what you are getting. They describe the product and give you a great close up. 7) They have large, clear pictures for all their pens. I rarely have to enlarge a picture to get a closer look. 8) They provide as much information about the pen you are looking at as much as possible. Some websites have no information about the pens they are selling which I've always found to be strange considering how much they charge. 9) They always use great packaging using either a box with extra packing to protect your pens or a bubble envelope. 10) When I think of Pen Chalet. I think reliable, friendly and professional. So stop reading this and just order something from them man! I've been using the pen for a few days to be sure there was no problem or question. It really is a very good pen and your customer service throughout has been wonderful, too! I will be doing more business with Pen Chalet. I am a very happy camper thanks to you and the Conklin company, as well. Pen Chalet, Great pen and thank you for your excellent service. I have nothing but positive comments to say about Pen Chalet. It is a service oriented company. Whenever I have had to call them and deal with them directly or and indirectly, I have always had the best experience possible, from something as simple as answering the phone pleasantly to resolving my problem or answering my question in a prompt and efficient manner. You cant beat this vendor for sevice. I hade the item in 3 days.The ink is great anb of a size that it gets used up and not sit around drying up. Also the paper samples they reallhelp to make up my mind as to whivh brand to order. Helps not having to buy 5/6 brands just to see what works best for pen/ink combo. Again just cant go wrong here. This is more a review about Pen Chalet. I was purchasing a nice pen for my significant other and asked Pen Chalet to help me. They directed me to this pen first and I asked for others to compare it to which they cheerfully did.I have to say the pen far exceeded my expectation. My significant other loves the pen and it writes beautifully!Its appearances are deceptive as it does not look as attractive as other pens but its writing is magnificent!Thank you Pen Chalet for helping me make a successful purchase. I would like to thank you for your wonderful service and prompt shipping of a very exquisite pen, the Delta Prestige Series Sterling Silver fountain pen (Fusion fine nib). I will be shopping here in the future as I was very impressed with the shopping experience. As a child, I was fascinated with my architect father's fountain pens. I became totally smitten and as a result, my father began storing his work pens on a higher shelf where I could "look but not touch". After he passed away, I found his pen box and was saddened to learn he had included them in a garage sale. But the fervor came back. I have been using a very pedestrian off-brand plastic pen. And then I found YOU. Your prices are attractive, your packing and shipping stellar, your "how to's" indespensible. I have no doubt that I will be a loyal and frequent customer! Prompt, accurate service. Product exactly as described. Great experience. The order was delivered accurately and fast. Very good service. This review is about the level of customer service I received from pen chalet. I normally order my pens from goulet or anderson pens, but seeing a 15% discount code I wanted to give them a try. When placing my order I did not see a area for comments so I talked to Ron and asked him to inspect the tines on the fountain pens I ordered, which he was happy to do. When I received my order I was one pen short, I talked to Jenna in customer service who apologized for the error and sent out a replacement pen the same day. The level of customer service was great and with the added discounts I will be ordering from them in the future. Amazing customer service – responsive, creative, problem-solvers ready to assist. Terrific selection of my favorite brands – especially Pelikan (I love the M600s, and my girlfriend loves the M2xxs). Great prices and flash sales – I’ve been able to pick up a few pen cases at fantastic rates. Quick shipping – that it takes only a day to deliver is explained by the fact that I am one town over, but the orders are packed super fast! Hello all. I'd like to give a nice shout out to Pen Chalet for some pretty good customer service. I purchased a Monteverde Tool Pen that came with a poorly shaped nib that would not write. After exchanging e-mails, I had a replacement nib at my door in three days. Including a prepaid return shipping label. I know they probably shouldn't have sent the poor nib in the first place, but things happen sometimes. Their reaction to my problem was outstanding, and I will certainly buy from them in the future. I love Pen Chalet for several reasons (selection, price, variety). However the number one reason is SERVICE. Several times I have e-mailed with a question and I have always received a prompt reply, even on Saturdays. In a day and age when customer service and attention to detail can be lacking, this is truly welcome. Heartfelt thanks for a job VERY well done. No question here. Just a note to say thanks for the fast processing. I ordered a Sailor piston convert this past Saturday at 5:08 pm EDT. You sent a shipping notification at 6:51 pm EDT the same day, and the package arrived today (Monday). I don't see how that is remotely possible when shipping USPS, but it happened. Thanks again! Thanks so much! I love the awesome stuff Pen Chalet is doing - you guys definitely set the bar high for customer support and great deals on pens. I'm always happy to recommend you! Great company. Fast, reliable. You sell the best, and I buy the best. Your prices, however, are most competitive. Thank you. I chose you over Goulet and Nibs. I am based in The Netherlands, and I was amazed how quickly I received my order. I will definitely buy from them again, many thanks. I looked at many pen companies in the internet and your website was the easiest to use. So I ordered from your company. The order process from start to finish was amazing!!!! If you are searching for a company to buy from you can stop now. That is amazing and I can’t thank you enough! Pen Chalet is my favorite place of all to buy pens and I so appreciate your generous offer. I am going to buy this wonderful pen today. Your customer service is the best there could be. I would like to compliment Pen Chalet for providing the most excellent service I have had in a long time. I was looking for a special gift for my daughter's 21st birthday and was thinking about the Dalvey St. Elmo traveling clock. I had priced them and decided to check out Pen Chalet since you guys had the best price. Well, there was a bit of an inconsistency from what Google had and what showed up on your website (it has since been fixed) but Jill got permission to honor the price and provide pleasant, professional and polite service throughout. Since I had a hard time ordering online with our crummy network coverage - she walked me through it over the phone. I thought it was too good to be true that you guys would honor the price, but then it showed up a couple days later...no surprises, just as described. BTW, you have a better product description for the clock that Dalvey.com !!! So thank you so much for restoring some faith in the online shopping world and an extra shout out to Ms. Jill for making my day so much better! Pen was shipped fast and arrived in perfect order. Customer service answered all my questions and went above and beyond to assist me. Pen Chalet's pricing is very reasonable and I received the delivery practically the next day. Thank you! My favorite pen sold by Pen Chalet happens to be the next one I buy from Pen Chalet! It started with a Pelikan, moved to a Lamy, and more recently, a Pilot Vanishing Point. Every one of them has been a great deal. I love Pen Chalet because it feels like my local pen shop though I reside in California and they are in Arizona. I'm an old fountain pen newbie, having written my way through college, graduate school and dissertation with a new Waterman purchased at the local stationer and its later replacement. But like many others I was seduced to the "Dark Side" of the rollerball, abandoning nib, feed & barrel to a desk drawer. Yet with my move west and strenuous work demands of teaching and scholarship, I dusted off my Waterman, unearthed stray cartridges and got to work: that flowing gold nib to the rescue. My romance with Pen Chalet began earlier this past spring with the purchase of my very first bottle of ink -- swans and roses down under! -- and my decision to start a collection. The package arrived like lightning to my Los Angeles doorstep from Arizona. I had been reluctant to buy ink by mail. I didn't want broken inky bottles and didn't want to wait! My local brick and mortar stores conspired against me -- not open on Sundays, closed by 530pm on Saturday or only open a few days weekly. And most of the online pen retailers all seemed to be two or three time zones away. So it's been simpler to order online from Pen Chalet and enjoy the super fast regular USPS shipping that beats Priority Mail cross country every time. From a faulty piston filler in the first pen I bought to questions about how and what to choose so my "collection" would exceed one, Ron has speedily answered every question with care and consideration, resulting in more lovely purchases that are the foundation of my collection. He's the friendly and knowledgable owner of my favorite pen shop; it's just a state away! Thanks to Ron at Pen Chalet for has superior customer service--a person who is totally reliable and truly delivers outstanding customer service. Ron goes beyond the call of duty. I know he treats everyone the same--that's just how he is! I love Pen Chalet because of wonderful reliable customer service. The store website provides detailed information and specifications on pens which are important when buying online. Purchasing pens has never been so easy and worry-free! Pen Chalet is the BEST!!!! I have purchased a few Pelikan Pens from the Pen Chalet without issue. Customer service is always courteous and knowledgeable in answering any questions. An excellent source to consider for your fine writing instruments. I really appreciate your fantastic approach to customer service. Your “old school” way of doing business is refreshing and unfortunately all too absent in today’s world. You have definitely secured a customer for life. 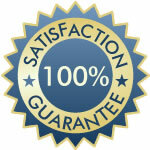 Quality products and very prompt shipping. Great service!! !